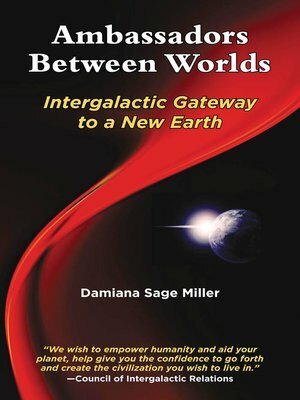 AMBASSADORS BETWEEN WORLDS: Intergalactic Gateway to a New Earth, is a collection of amazing and profound conversations with enlightened extraterrestrials. Topics include the nature of God, evolution of the soul, finding your purpose, living your passion, cleaning up the environment, and developing new energy resources. You will also learn about past lives, future lives, the true nature of time, universal laws, Atlantis, ancient Egypt, advanced technology, alternative energy, hidden dimensions, the real cause of disease, angels, archangels, nature spirits, spiritual guides, shadow governments, why the UFO cover-up is allowed to persist, and much more. How do advanced extraterrestrials live? How do they raise their children? Do they have animals? What do they eat? What do extraterrestrials think about our religious beliefs, sexual attitudes, and goals in life? How can we achieve global peace? Why do extraterrestrials want to assist humanity?